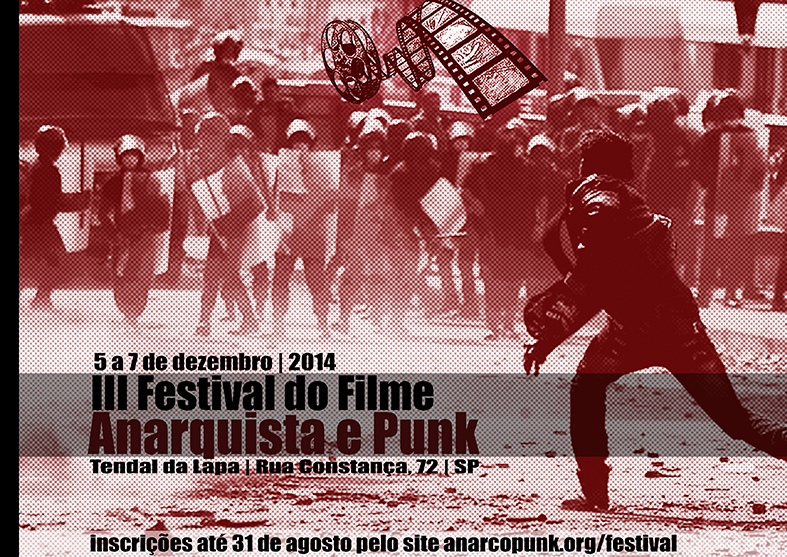 It´s with great joy that we announce the third edition of the Anarchist and Punk Film Festival, in São Paulo – Brasil, which will be held on 5, 6 and 7 December 2014 in Tendal da Lapa (Constance Street, 72 – Lapa). The two previous editions gathered dozens of films from different parts of the world, along with discussions, lectures, workshops, expos, theater and other activities. For this year’s edition, we invite all the people involved with anarchist collectives and libertarian audiovisual productions to send their proposals for films and activities. We will be receiving submissions until the Aug. 31 in www.anarcopunk.org / festival. Simply fill out the form (available in Portuguese, Spanish and English) and send so we can start a direct contact! We´re waiting your ideas so that we can collectively build more this Festival!